￼￼￼￼An exciting, all-new gaming experience which is fun, challenging and will help you increase your overall mental fitness! Create Numba chains in various sequences. Sound easy? 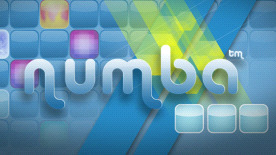 Well get ready for some great fun and addictive gameplay through 3 testing game modes as you strive to claim the title of ultimate Numba Champion in this superb puzzler.